Do you Know How Much Your Child Should Be Drinking? With the new autumn term well under way, it has been revealed that parents across the UK are struggling to monitor their children’s drinking habits whilst at school. Research from BRITA shows that nearly three quarters (73%) of parents do not know how much water their children drink during the school day and 66% are not sure of the recommended daily intake of fluid. 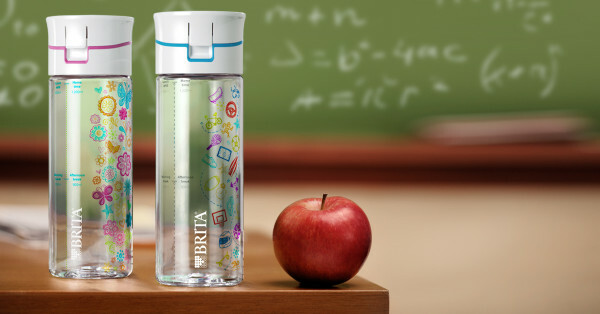 In response to this, water filtration expert BRITA has launched the Back to School Hydration Initiative to encourage children to drink water and to help parents monitor their intake. BRITA has created limited edition child-friendly stickers for the Fill&Go bottle, which are available to win via BRITA’s Facebook page. The stickers provide a measurement level for break time, lunchtime and home time so that children know how much to drink and when, encouraging healthy habits and helping them stay alert and hydrated all day.